The 3D firmware updates for select Sony Blu-ray Disc and home theater systems were visible yesterday on Sony’s support site. Today, the company formally announced the free updates for select Blu-ray Disc players which include the Sony BDP-S470 and BDP-S570 models. The firmware updates include support for 3D and DLNA content, and improvements in router connectivity. 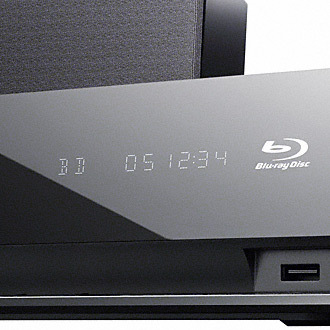 Blu-ray Disc home theater systems that can get the free firmware update include the BDV-E570 and BDV-E770W systems. Along with 3D support the updates also include improved sync compatibility with Bravia TVs and DLNA compatibility. The firmware update files are available for most Windows operating systems (98se through Windows 7) and in some cases Macintosh OS v10.6. Sony introduced the 3D compatible BDP-S470 Blu-ray Disc player with built-in WiFi (802.11n) which will be available in July, 2010 for about $300. The new 3D-compatible Blu-ray home theater system announced today is the 5.1 channel BDV-HZ970W which features Wi-Fi via the included USB wireless LAN adapter (802.11n). The BDV-HZ970W will sell for about $800 and also start shipping in July. In addition to the Blu-ray hardware, Sony announced pre-sale availability of its new line of Bravia 3D HDTVs which range in price from about $2100 to $5000. Check out the new Sony 3D hardware at SonyStyle.com, Or, find your firmware update on Sony’s eSupport site.